Good storage is the crucial aspect not just for a dining room, but for any room in the house. 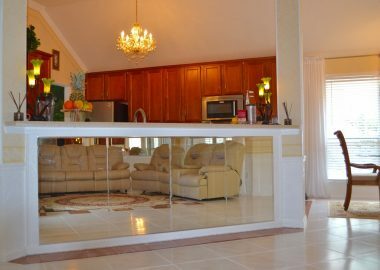 By enhancing dining room storage, you are not only making space feel clean and tidy, but you are also making more room for the extra kitchen equipment. Only the lucky few have the luxury of having a completely separate dining room. Most of us consider our dining table (that is a part of an open plan living room or the centerpiece of a kitchen) our dining area. That is why we need to use the space as effectively as possible, and creative and practical storage solutions can help you achieve this. So, take a look at these cool storage ideas for your dining room. Modern interior designing is all about multifunctional items, such as fitted or built-in benches, kitchen islands, that can serve also as storage units, or maybe even a dining table with drawers. This way, you will be using the space effectively while keeping everything stylish – especially if the room is small. And when it comes to materials, your safest bet is to go with wood, because it adds a touch of warmth and it is super practical. Consider incorporating a standalone sideboard. 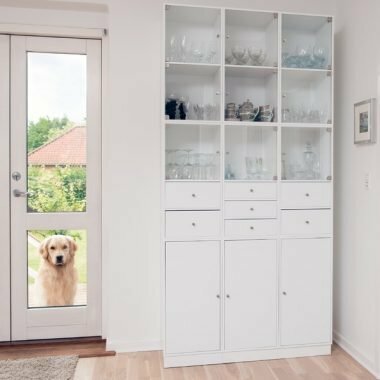 Freestanding storage is way more practical than built-in storage because it can be easily moved around when you want to reorganize the dining area, and takes less space. Also, sideboards are great for storing plates, glasses, and cutlery. One place that always stays unused is the wall. 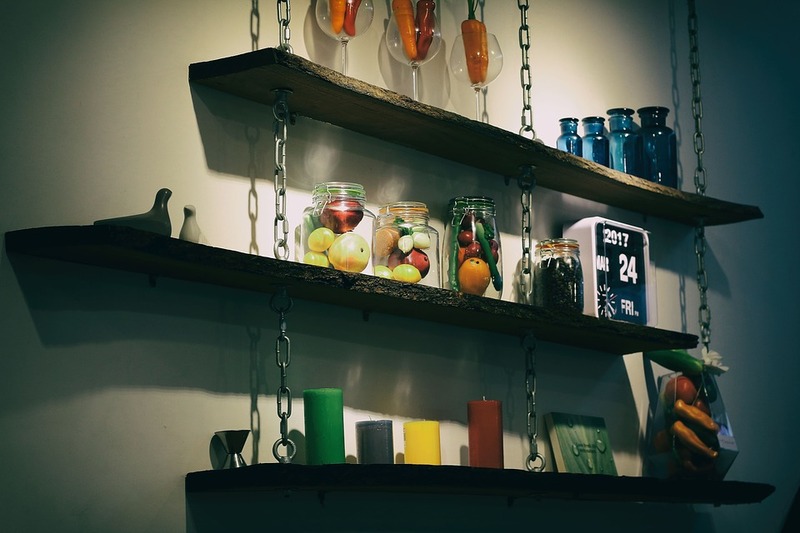 So, if your dining room is small or the space is just overall tight, floating shelves can be a great solution in terms of aesthetics and functionality. Since they are mounted on the wall, they are taking zero space and look neat, while still providing you with extra storage for your decorative cutlery, for example. If you are blessed with a spacious area, a good idea would be to incorporate a larder-style cupboard into the overall scheme. This storage unit will ensure that your dining room is never again cluttered. Opt for a tonal color palette that follows the rest of the dining room’s scheme to maintain the balance. You can also opt for a glass display unit where you can use visible shelves to place decorative accessories. On the other hand, those who live in smaller apartments should stick to sliding wardrobe doors to save the most space. And you can even jazz them a little bit by placing a mirror on them. This way, you will also create an illusion of a much larger space. What is among the most important parts of any living room? A coffee table. Feel free to add another tiny, fuss-free, round table in the empty corner of your dining room. After all, storage is not always about concealing stuff. Proudly display your vintage China set, or other decorative objects, such as ornaments, lighting and photo frames. You will do this by designing a scheme based on your storage requirements. Take advantage of all the available space by incorporating floor to ceiling shelving. Next, add a touch of softness with a decorative armoire with a glass display where you will store your glassware. As you can see, the key is to proudly show off items that are worth showing and hide items that aren’t so much display-worthy. 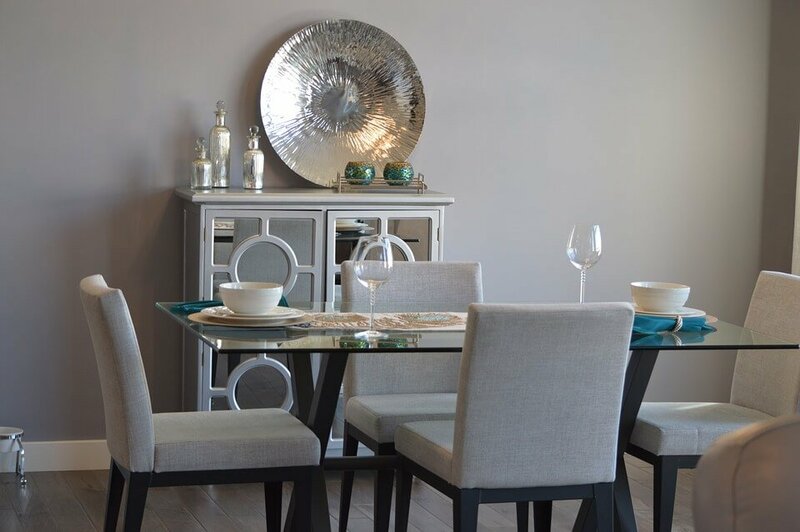 We hope these tips have helped you to turn your dining room into a storage paradise. Diana Smith is a full-time mom of two beautiful girls interested in topics related to home decor and latest DIY Projects. In her free time, she enjoys exercising and preparing healthy meals for her family.